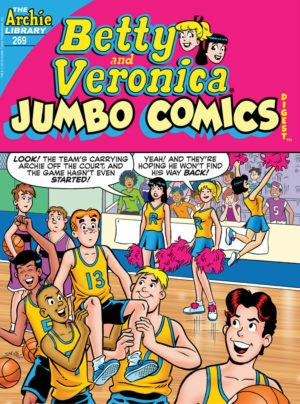 Comments: “Catnapped!” Betty’s cat disappears and Veronica makes such a huge production out of it. Veronica does tend to go overboard. “Deja Vu, Who?” Veronica has a cousin Ashley who it turns out is just like Veronica was at her age. A spoiled rotten little rich kid. It is fun to watch the similarities between the two. “The Snow Queen” Betty gets some advice that the given follows and it works out so wonderful. It is great to see such a happy ending. “Quick Change Artist” Midge wants Moose to change until he does then she does not. Women are fickle. It is fun to watch as Moose does an about-face. “The Christmas Challenge” Jughead is ready for an eating contest against Toni Topaz. Toni is a knockout, the art really shows her off nicely and the colors are amazing. We see the unthinkable Jughead finds something he cares more about than food. Toni is a wonderful character. “Veronica’s Closet!” Veronica does have way too many clothes so what to do with them all. She is illustrated in some lovely outfits in this story. Veronica can get too greedy. “Crushing News” Things are not always as they seem. Sometimes the imagination is better than the real thing. Especially if Jughead is involved and girls. Poor dear Veronica. “Give Me A Ring” Betty gets a mystical ring stuck on her finger. Betty finds herself in a world of trouble due to this ring. Betty does end up going on one adventure. The adventure does have danger yet it has a nice cute touch as well. “The Art of Doing Nothing” Veronica is so great at doing nothing all it takes is her doing so much and everyone else doing it all. Well, she does get what she wants. “It’s Our First Date By George” Cheryl and George certainly do have an interesting date and after that a noninteresting date. They are both fun characters and it is different to see Cheryl acting like an ordinary person and not all stuck up. These stories and more await the avid reader within these pages. You will find characters to entertain and delight you. 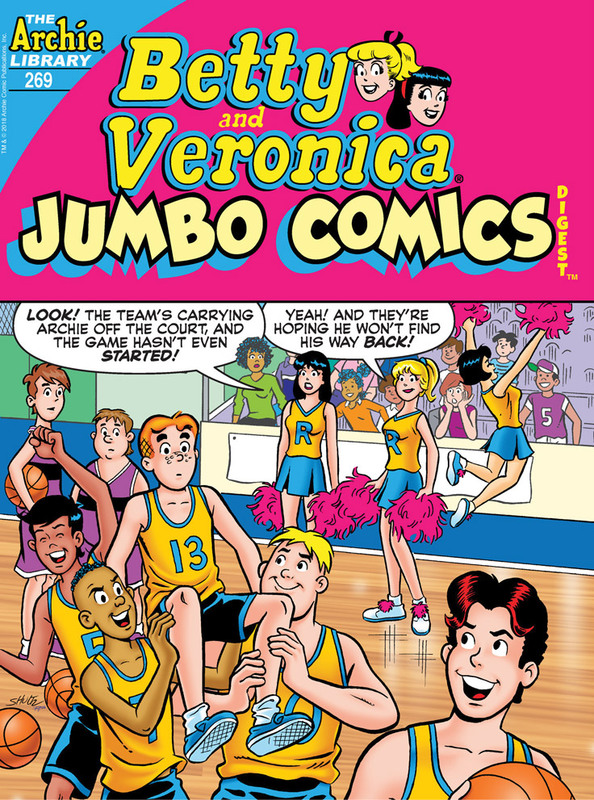 Betty and Veronica are two very special girls.